It is time to tap into your infinite capacity to experience bliss. Realize what sits dormant within you, awaiting activation and permission to move through you with ease, joy, and grace. These Sattva Tantra and Kundalini practices will leave you melting in a bath of bliss and ecstasy. Come experience your own inner bliss. Corrin has been practicing and teaching with Sattva Yoga Academy in Rishikesh, India at the base of the Himalayas for the past few years. This is the practice that flows through her with effortless ease and grace. Sattva Yoga and Sattva Yoga Academy is founded by world- renowned Vedic Himalayan Master, Guru, and Yogi, Anand Mehrotra; who she studies with and teaches alongside in an evolutionary and dharmic life, spreading these teachings globally. NO PREVIOUS KNOWLEDGE or EXPERIENCE NECESSARY. This practice and teachings are a practical and systematic science of enlightenment and evolution of consciousness. 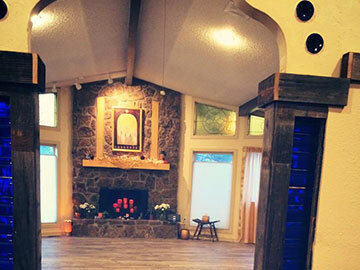 Sattva Yoga Academy teachings are meant for living a yogic-centered life, a purposeful life. The teachings open you up to radical trust and unconditional love.